The keyboard control is quite tricky. I suppose over time I'll get used to it. The name writing system is really hokey in my opinion (not necessarily a humble one) but the concept is brilliant. Ok, doing a bit better. This will be a tough one once I figure out how to move up the levels I'm sure. I found this to be the case until I realized you just go up the 'isle' that has the letter you want, move over it and down and into the next isle you want. Got a bit better score. I for one am thankful it starts out slow. I know from music, this is the best way to learn anything, start slow, speed up as you get better. It's the law of the universe. Remember this one well from my Electron days, not sure if I ever got it on the BBC or not, if it was on Micro Power Magic then I had it. Not quite in the upper class yet with you and Wouter Matt but getting there.....should be a good competition. I quite like that the entry of the high scores is a game in itself! Quite a good game this one. 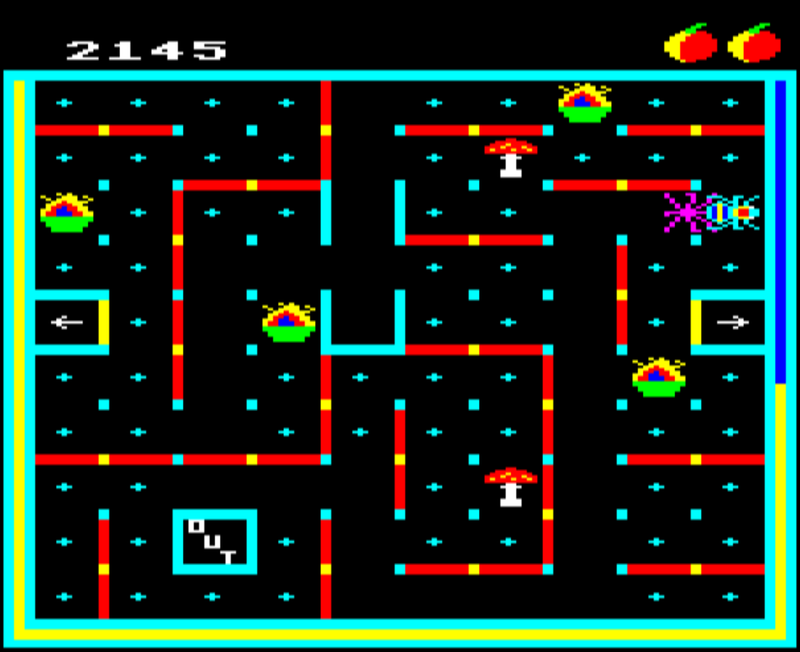 I remember when I got my Acorn Electron it came with the usual 5 Acornsoft games they were bundling at the time (Hopper / Arcadians / Boxer / Chess / Business Games). 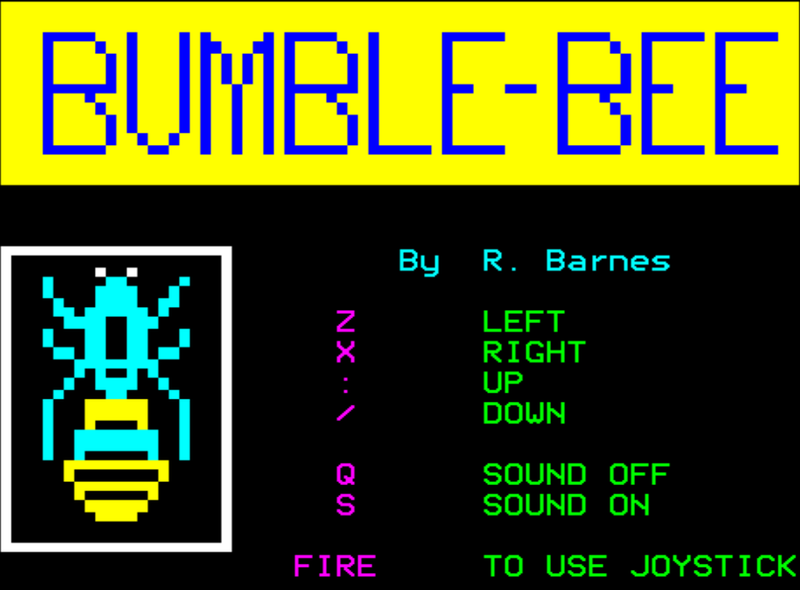 Then, a while later, my mum went to the computer shop and brought home two more games for me - Chuckie Egg, and Bumble Bee. I must've been about 7 or so. Obviously Chuckie Egg was the better game, but I quite enjoyed this one too. - The spider timer is round the outside of the screen. When it reaches the top left, another spider appears. New high score, getting harder now.